Wow, this is so interesting !! Now that's a really fun idea. Bummer, as many blogs as I've always visited, I would've won this in a day or two. This sounds interesting :) looking forward to playing BINGO! I'll be doing the A-Z Challenge with several of my blogs this year. (I tend to do that each time.) This is a super inspiration. You're making the challenge a lot of fun! On your reflection post in May. I suppose you could add it to your daily posts, if that pleased you. Whatever keeps it fun. I have saved the card and promptings in Google Docs so I can refer to it throughout the challenge. Fun-fun! What a un addition to the A-Z Challenge! Thank you. Keen on playing this game. PS: Any idea of what to do for squares like 'something you are allergic to.' I'm not allergic to anything as far as I know. 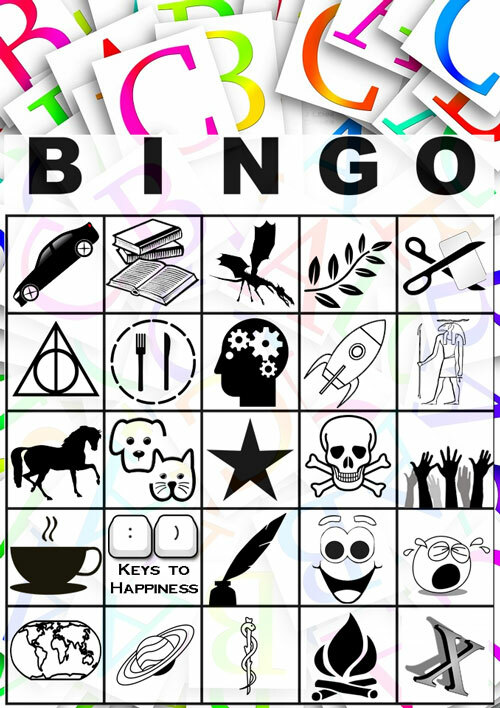 Looking forward to the game of BLOG BINGO!!! Saved the card!! Oh wow, the challenge is getting better and better by the day. A to Z Bingo, what a fun addition. Who thought of this this inspirational way of following and keeping up with the blogs? I love it. This list has inspired my theme and pushed me over the edge to participate in this years challenge - damn it. :D Nice one A-Z team. I love the no linky list idea too and hope it all works out for the best. Happy Challenge. Haha, I love this idea :) A strange little list and it'll be fun to find posts to cross them off! Thank you for this. My A to Z has a truck theme -- just sayin'. This is a test comment. What I'm testing will be made clear later. Yay, sounds fun. Must try this. Such fun! Thanks for all your work! I is for Interesting Images. #AtoZchallenge.